Channel 5's HD service on Sky is no longer a free-to-view service for Sky subscribers, according to reports from viewers today. 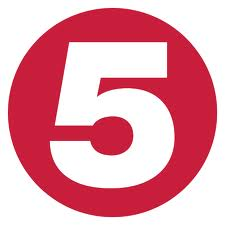 Since its launch in July 2010, Channel 5 HD has been available as an extra free-to-view channel, which was available to all Sky HD viewers, regardless of which channels they subscribed to. The service is now being marketed as part of Sky's Entertainment Extra pack, meaning that viewers who don't subscribe to this pack and who previously were able to watch Channel 5 HD are being presented with an upgrade screen. Sky offers a number of "free-to-view" channels, which originally formed the basis of its "Freesat from Sky" service. Unlike "free-to-air" channels which are unencrypted, the free-to-view channels are channels available to anyone with a Sky box and a viewing card. The high definition versions of the non-BBC main channels, including itv hd and Channel 4 HD are not covered under the definition of "public service broadcaster (PSB) channels" under the current version of the Communications Act, 2003. Channel 5 does therefore not have to offer its HD channel free-to-air as is expected of its standard definition channel. The rules governing HD simulcasts of SD channels covered under the Communications Act as PSB channels are being reviewed by the Department for Culture, Media and Sport, as reported here on the 30th July 2013. Under the proposals, HD simulcasts of the main five channels would receive the same prominence as the standard definition channels, which have to be offered channels 1-5 on all digital TV platforms. The rules governing Channel 3 and 5 standard definition services, including Channel 3 regional programming and Channel 5 programming obligations would be applied to the HD versions in time. However, before any changes are made, all stakeholders including the broadcasters, Ofcom and digital TV platform operators will be consulted. Channel 5 twice turned down an HD slot on digital terrestrial television (DTT) / Freeview HD, and recently lost what could have been its channel number on Freeview HD, when channel 105 was allocated to the forthcoming BBC Three HD channel. However, the broadcaster did state in a Digital UK consultation earlier this year that it was "committed to launching Channel 5 HD on the DTT platform within the next few years." Updated from the earlier version of this article, uploaded at 18:30.